This update fixes a few bugs for stability. An enzyme that was incorrectly designated as a symetrical has been redesignated correctly as asymetrical. A new feature is now available under the tools menu that allows reverse translation of amino acids to DNA, optimized for a variety of organisms. 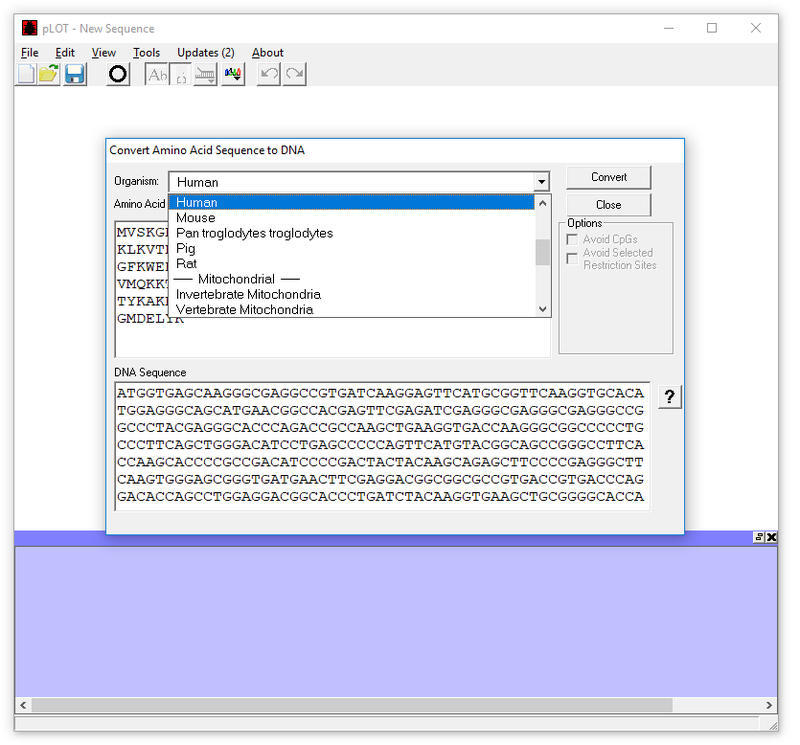 By inputting an amino acid sequence, selecting an organism and clicking “Convert”, pLOT will reverse translate and output the resulting DNA in the window below. 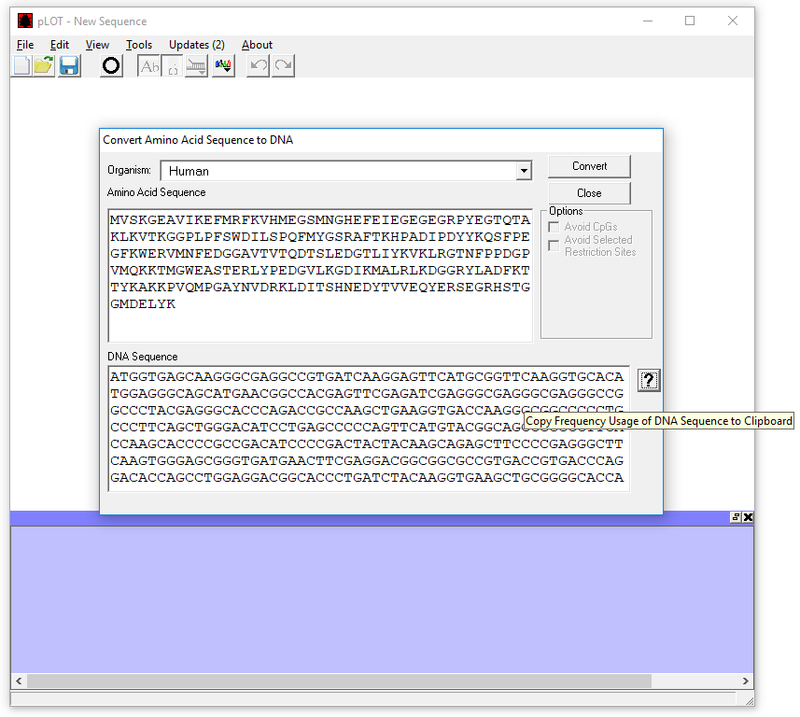 Other DNA sequences can also be placed in the DNA window and the “?” button clicked to copy codon preference information for the selected organism to the clipboard. Figure 1. 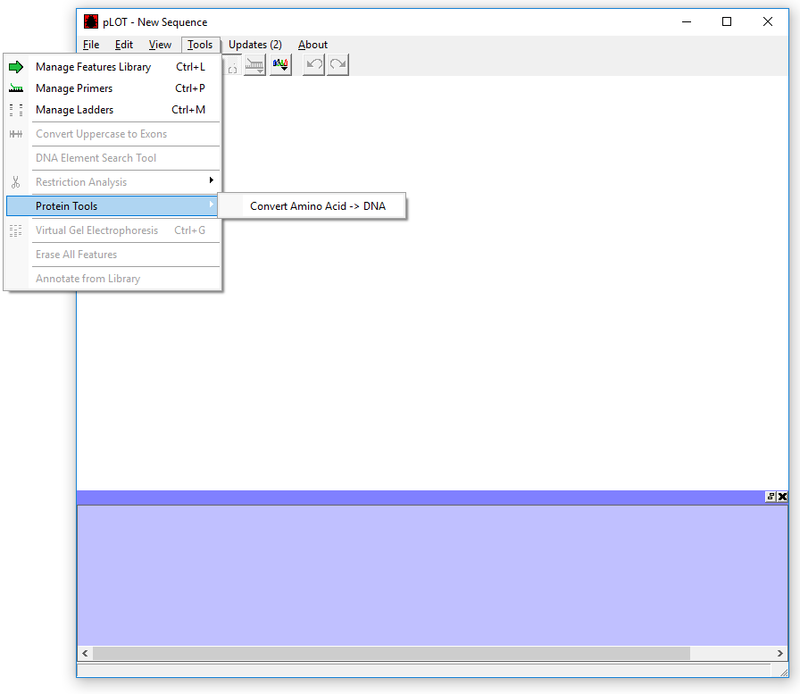 Accessing the Protein Tools menu item to reverse translate amino acid sequences to DNA Figure 2. mScarlet amino acid sequences converted to human codon preferred DNA. The pull down menu allows for organism codon preference selection. Figure 3. Clicking the “?” button copies codon usage information of the DNA sequence in the DNA window for the selected organism. 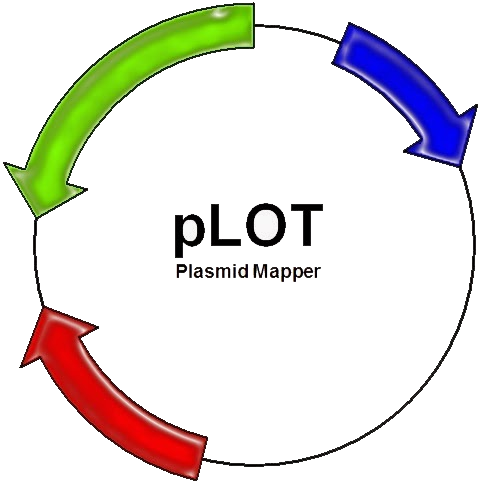 You can download the patch alone and copy the plot.exe, Codon Tables.dat, and Restrict.dat files to your installation directory (default is c:\program files(x86)\plot) if you have previously installed 1.0.13b or later. Please note that on some systems, an error pops up during the install process asking you to abort, retry or ignore. If this happens, choose the Ignore option.